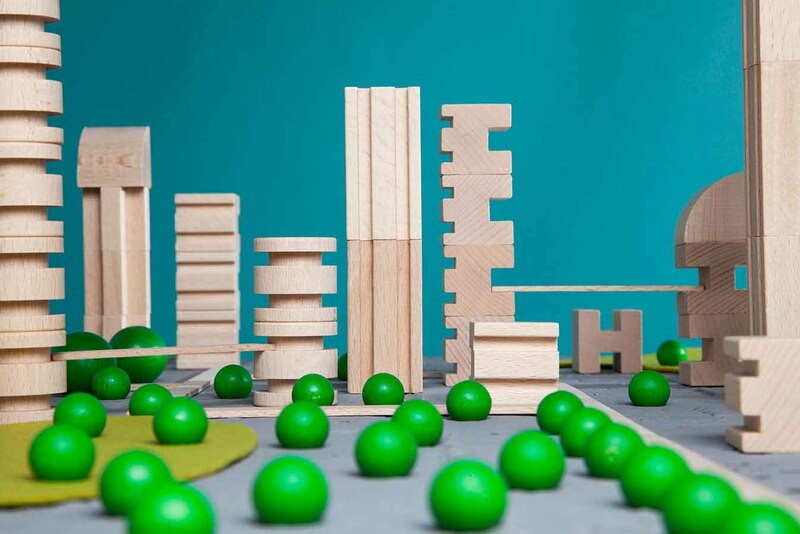 what would kids do if we give the chance to build their own city? 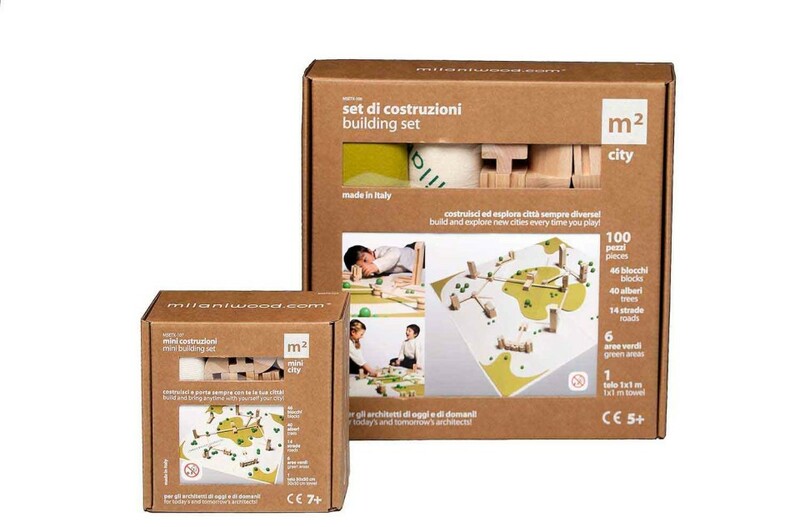 Metroquadro is a cross-category toy, between a free composition toy and a city planning game with a strong focus on developing cooperative design and relational skills. We keep listening “there is so much to learn from kids..”. 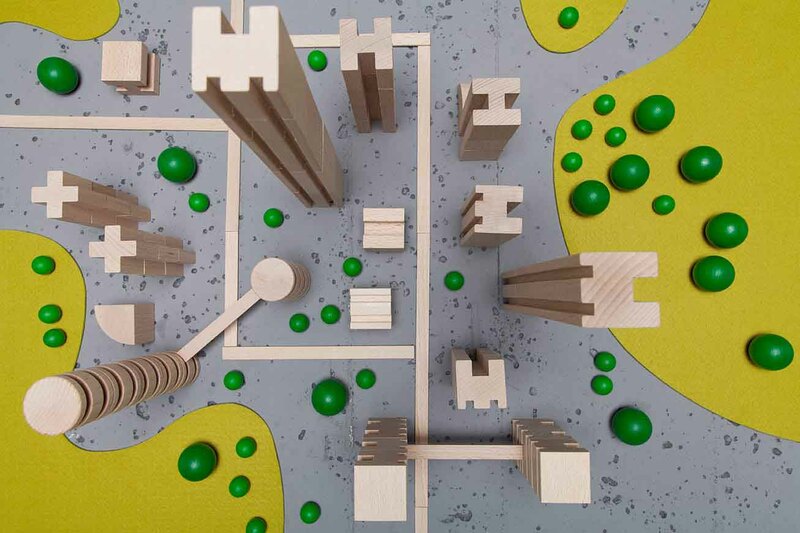 Well, this toy gives kids the chance to build their own ideal city and adults to witness kids doing it. 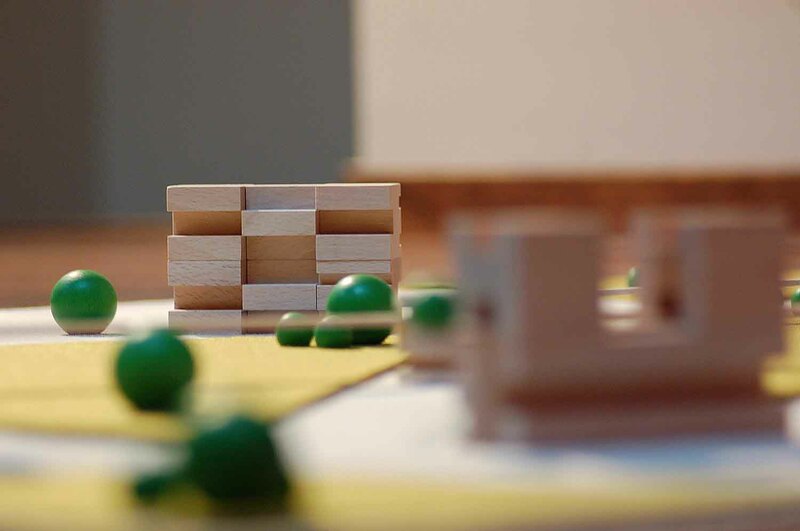 Metroquadro means “Square Meter” in italian, and within this each player can take part actively in the construction, sometimes individually, sometimes participating with other players, meeting not only other’s needs but also their own power to influence the environment, dealing with potential effects of their choices on others, deciding where green will be, integrated with architecture or in green areas. It can be played by 1 to 4 kids 7 years old and up, with growing levels of construction possibilities and interaction rates. 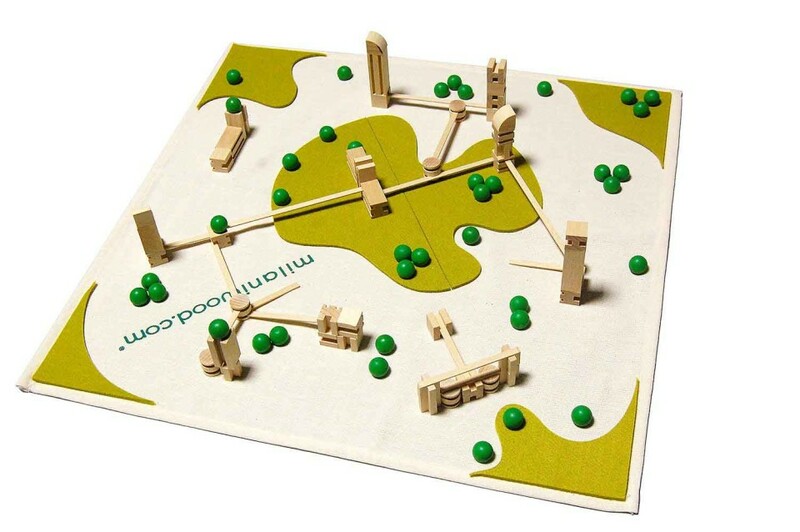 Each game starts from the blank cotton towel, placing felt green areas. Usually kids first build their own house, just the way they like it: short, tall, square, with garden in the middle, on the top, all around.. and so on. Then they begin to connect with the environment, and of course with other players by placing roads and cooperating in the construction of common-purpose buildings (e.g. museum, hospital, railway station, etc..). 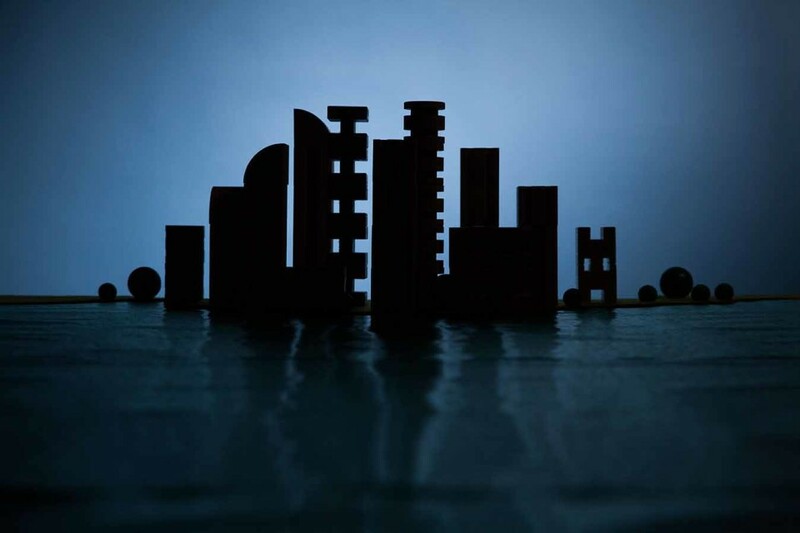 The design of the blocks has the objective of representing the look of contemporary buildings and skyscrapers. Each block has precise proportions and modularity rules so they can interact with each other in the composition, sometimes even stack with each other, and keep a constant scale rate. So once the city is built kids can experience an immersive view of the city, feeling like in an helicopter, feeling big, powerful, proud of what they did.